It was no secret that Disney and Lucasfilm were in search for a director for the seventh Star Wars film. 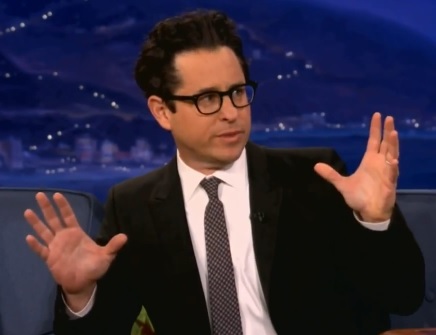 After previous denials, J.J. Abrams was announced to direct. He will be using Michael Arndt’s screenplay for the next installment. Abrams’ Super 8 was an enjoyable film; essentially a love letter to the movies of the 80s. Then there’s Abrams’ reboot of Star Trek. It was exciting, it was full of suspense and action. But it lost the science fiction intellect that Star Trek is known for. It almost felt like his own take on Star Wars but with Star Trek. And with that in mind, it should be good news that he’s directing the next Star Wars movie. The main problem with J.J. Abrams directing the new film is his love for lens flare. It’s his stylistic choice, but it’d divorce it from the previous Star Wars movies. Aesthetically it’d feel disconnected from the others. And, well . . . it’d feel too sleek to be Star Wars. It needs to be rough around the edges. Aside from that issue, Abrams is a good choice for director. Keep out the lens flare, focus on the actors, and he’s good. And besides, lucky for him, George Lucas’ atrocious directing on the prequels is still fresh on our minds. Abrams can easily blow us away if he plays his cards right.